Noodlecake Studios has released its second update to their fun freebie, Flappy Golf. 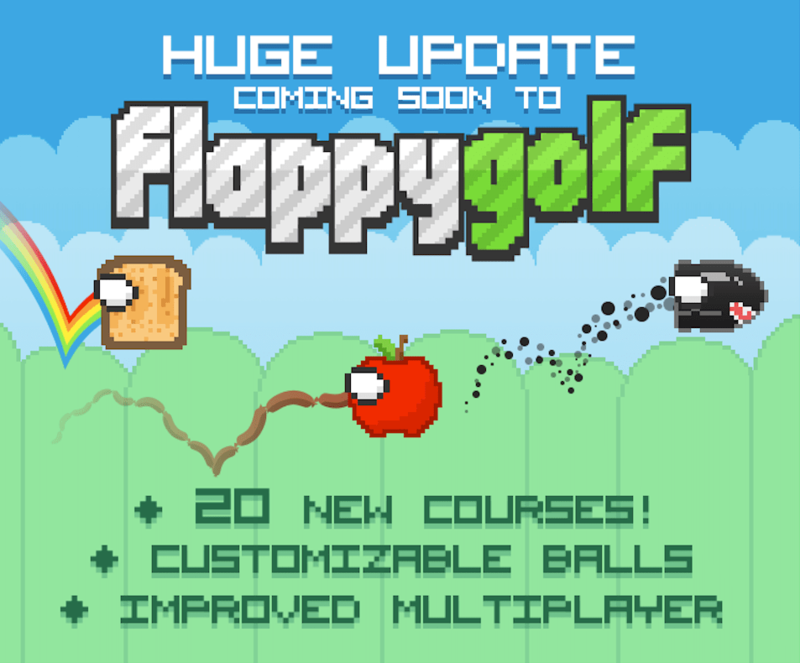 On tap are 20 new courses which have been retrofitted from the original Super Stickman Golf for Flappy Golf gameplay. Included are such classics as The Tar Sands, The Haunted Hills, The Slew, The Cliffs, Rooftops and more. In a notification pushed to Super Stickman Golf 2 earlier today, Noodlcake also indicated that these courses will be coming to SSG2 soon as well. In addition to new courses the update adds unlockable characters for the multiplayer gameplay mode (introduced in the first update) and some of them are just plain odd (read cool! ), like a piece of toast or an apple?! The ball trails feature from Super Stickman Golf 2 has also been brought over to Flappy Golf. Both of these features are unlocked via a new ‘eggs’ in game currency, which, much like the Golf Bux in SSG2, can be found randomly on the courses as well as earned through multiplayer match- ups. And you can get a ton of them from playing multiplayer, 8 player games especially. To encourage players to not rage quit games early, eggs will be rewarded just for completing holes, as well bonuses based on how you rank at the end of the match. We wanted to engage players to just keep playing even if they are not as good as their competitors. Everyone wins basically! And no, there are NO iAP’s to get more eggs faster. They are part of the game as is and the only iAP is the remove ad option. So if you haven’t already downloaded Flappy Golf, there is no excuse not to…and if you already own it…update away.